While the Chevrolet Colorado has sportier exterior styling, its Work Truck trim level is specifically designed for fleets, featuring a rear seat delete (on extended cab only) and vinyl seats. The Colorado’s extended cab configuration is also available with a box delete, making it easier to upfit. Nearly a year after they were unveiled, the Chevrolet Colorado and GMC Canyon have rolled onto the scene and are available for fleets. 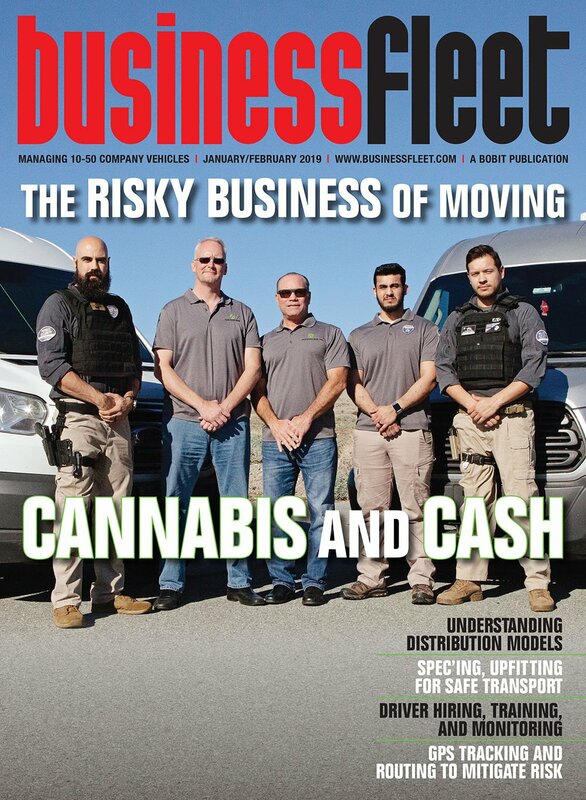 Automotive media had the opportunity to put the new vehicles through their paces in a variety of conditions in Southern California. 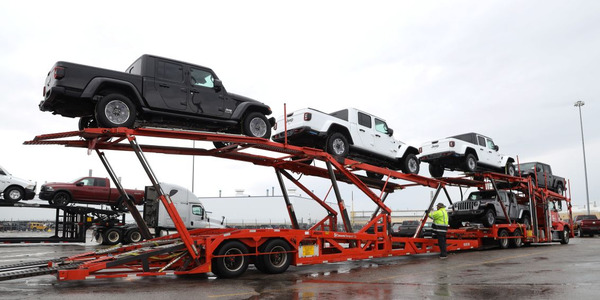 The automaker sees the mid-size pickups as resonating with fleets. 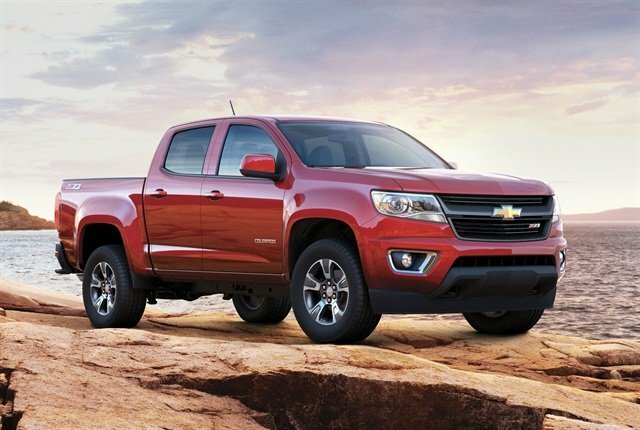 The third leg in GM’s three-truck strategy, the Colorado and Canyon are equipped with a 2.5L DOHC I-4 engine, which produces 200 hp and 191 lb.-ft. of torque. 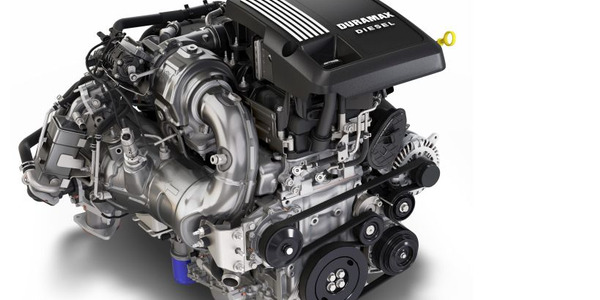 The optional 3.6L V-6 produces 305 hp and 269 lb.-ft. of torque. The 2.5L engine has been U.S. Environmental Protection Agency (EPA) rated at 27 mpg highway while the 3.6L achieves 26 mpg highway. Both ratings are for the 2WD models with automatic transmission. A 6-speed automatic transmission is standard on the Work Truck 4WT, LT, and Z71 trims and available on the Work Truck 2WT trim. A 6-speed manual transmission is standard on the base and Work Truck 2WT trims. The Colorado and Canyon are equipped with a 2.5L DOHC I-4 engine, which produces 200 hp and 191 lb.-ft. of torque. 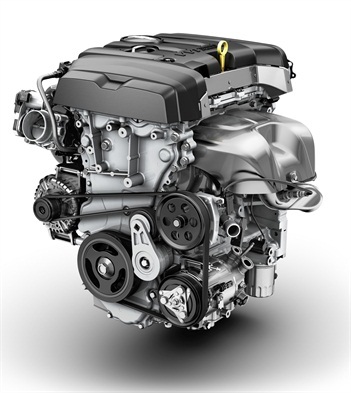 The 2.5L engine has been U.S. Environmental Protection Agency rated at 27 mpg highway. During the ride-and-drive portion of the event, both engines performed well, with the 2.5L effortlessly climbing the steep grades of the proscribed routes. The Colorado has a short turning radius of 41.3 feet. Even with its high mpg, during the media event, the inevitable question about an available diesel engine came up. 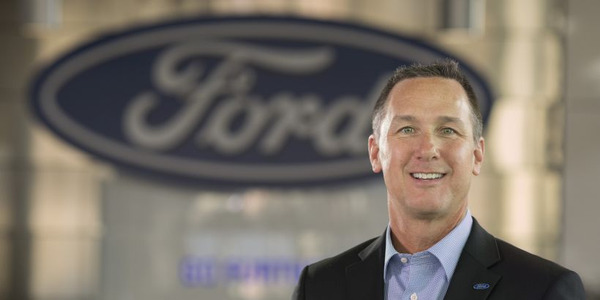 While a diesel is available on its global Colorado, the automaker plans to introduce this option on the 2016 model, according to Jones. 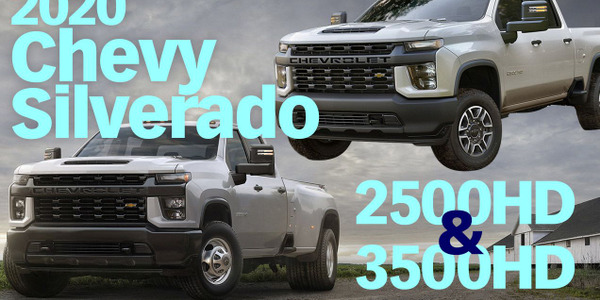 Although the Colorado and Canyon both have some of the handling characteristics of a GM sedan, they also benefit from being the siblings of the Silverado and Sierra. 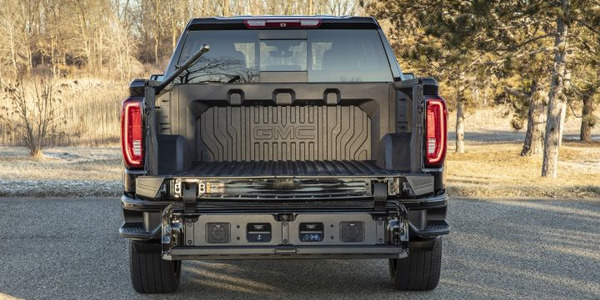 They feature the rear bumper Corner Steps that were recently added to the full-size and heavy-duty pickups, and are standard with either a 5-foot, 2-inch box or a 6-foot, 2-inch box, giving it plenty of room for transporting supplies and material. It isn’t just what’s under the hood that allows drivers to do their jobs. Inside the cab, the Colorado and Canyon can both be equipped with an OnStar 4G LTE Wi-Fi hotspot, which could be of particular benefit for field supervisors and others who may need to be keeping contact or monitoring drivers in the field, according to company officials. OnStar with 4G LTE is standard on Colorado’s LT and Z71 trims and available on the Work Truck trim. It is standard on Canyon’s SLE and SLT trim and available on the Canyon trim. It is not available on the Colorado base and Canyon SL trims. No matter the trim, certain safety features are standard on both the Colorado and Canyon. This includes the dual-stage frontal and side-impact driver and front passenger and head-curtain and seat-mounted side-impact air bags. The rear vision camera with dynamic guidelines is also standard on all models, along with the immobilizer theft deterrent system. The unauthorized entry theft-deterrent system is standard on the Colorado’s LT and Z71 trims and the Canyon’s SLE and SLT trims, and available on the Colorado Work Truck and Canyon trims. The locking tailgate is standard on all trims. Four-wheel anti-lock brakes, StabiliTrak, tire pressure monitor system, traction control, and power four way driver seat are standard on all models, as is daytime running lights. The Colorado and Canyon have been designed to have the appearance of being both different yet related, the Colorado is sportier and sleeker, while the Canyon has more of a traditional truck-like appearance — heavier, more solid. 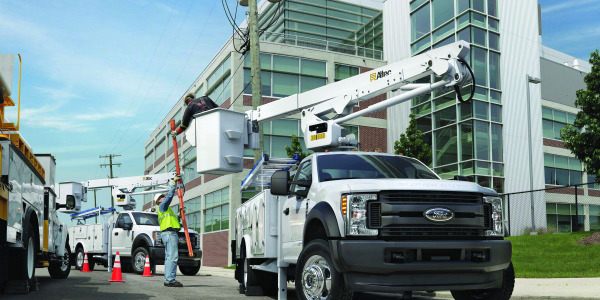 They both deliver capabilities akin to a full-size truck. The Colorado and Canyon offer a GVWR of 5,400-6,000 pounds, depending on the model and engine configuration. The Colorado has a payload rating of 1,410-1,590 pounds. The Canyon’s payload rating is 1,450 to 1,620 pounds. 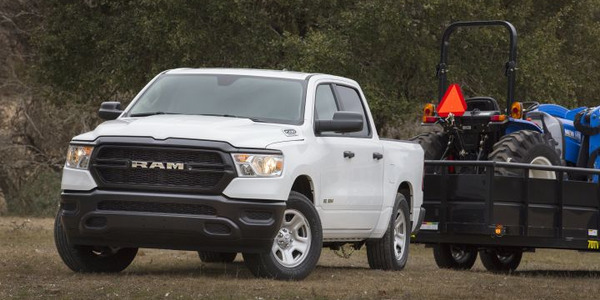 The Colorado and Canyon have a maximum trailer rating of 7,000 pounds when equipped with the available V-6 engine and heavy-duty towing package. While either vehicle could have a fleet function, the Colorado’s Work Truck trim has been designed with fleets in mind. Jones said that the two fleet types in which the Colorado could be best fit are pest control and auto parts supply. 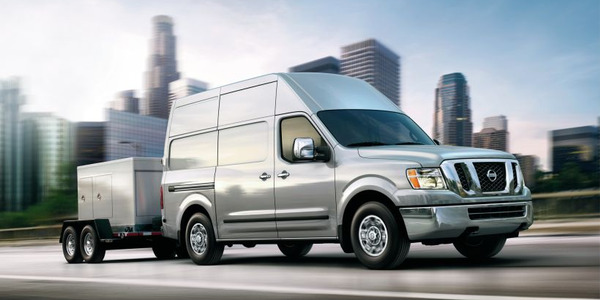 Security, courier services, and utilities are other fleet types for which the Colorado could be a good fit. Since the Colorado is only available in a crew-cab configuration, there is a seat delete option available for the Work Truck model, allowing the space to be used for secure storage. Seats are made of vinyl for easier cleaning and maintenance. And, while there is a backup camera as standard, the 3.5-inch color screen is smaller than those found on other Colorado trims. 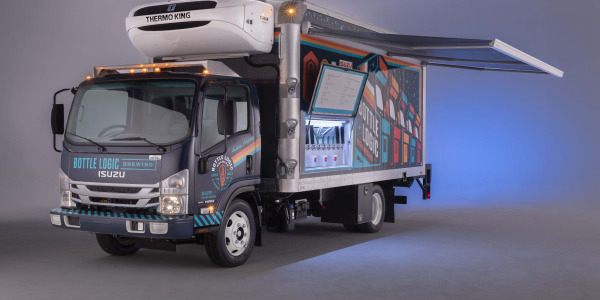 The company is working with upfitters to develop packages that will be of use to fleets, and has made available a variety of commercial-grade accessories when ordering. These accessories include utility rack systems, tool boxes, tonneau covers, bed protection and accessories, trailering equipment, and interior accessories (e.g., mats and under-seat storage). 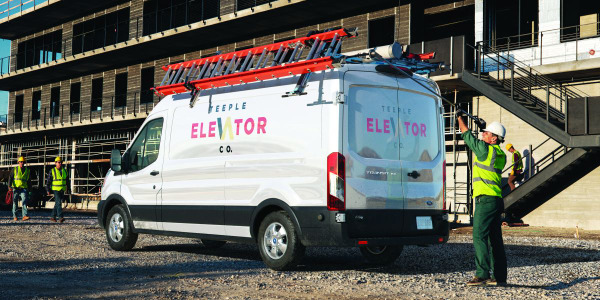 Fleets that need more than a standard piece of equipment have a choice of numerous upfitters to work with. The Colorado is also available with a box delete option on the extended cab configuration, giving fleets maximum upfit flexibility. The box delete is only available with the extended cab model equipped with the 3.6L V-6.